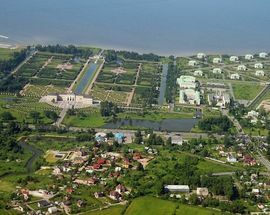 Strelna was first mentioned in Cadastral surveying of Vodskaya pyatina in 1500, as the village of Strelna on Retse Strelne on the Sea in the churchyard Kipen Koporsky County. 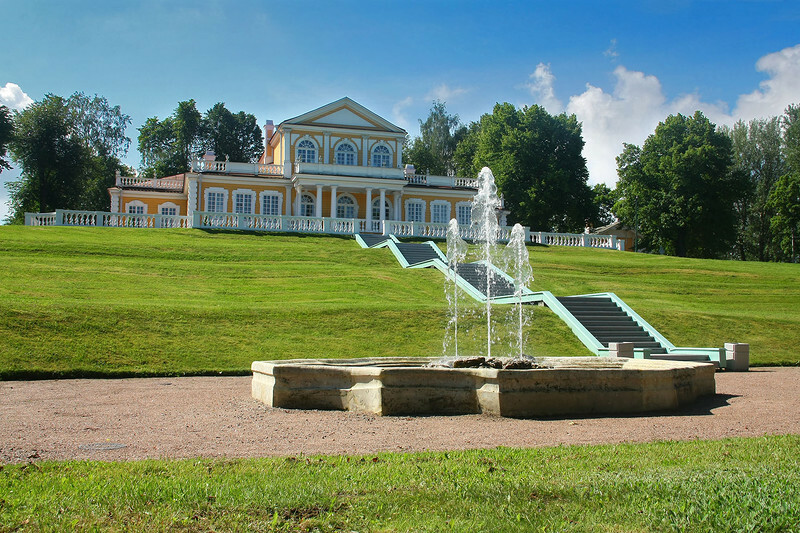 After the Treaty of Stolbovo these lands were part of Sweden and in 1630 in Strelna appears to have been a baronial estate of Swedish politician Johan Skytte. 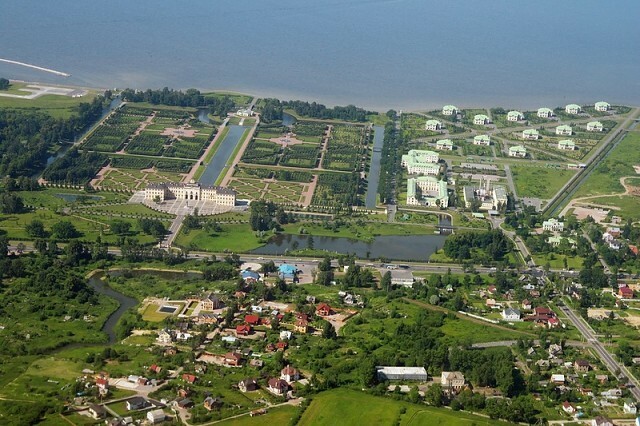 The estate had a marina, a water mill, a pond, a greenhouse and a small house church. 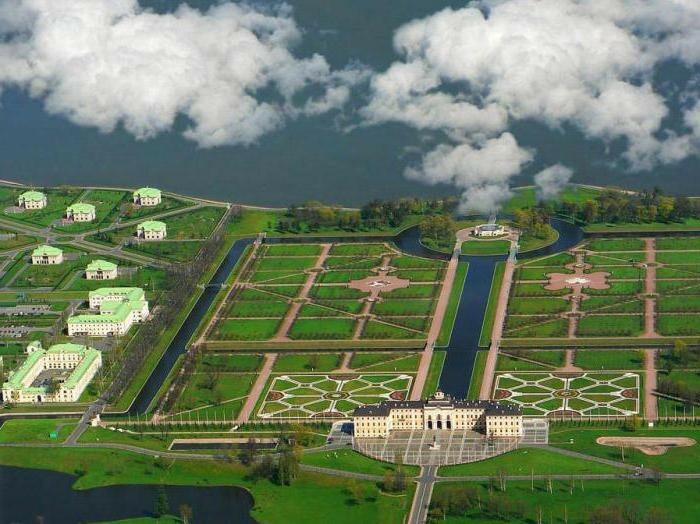 In 1714, Strelna was chosen by Peter the Great as a place for his future summer house and he commissioned Jean Baptiste Le Blond, famous for his work with André Le Nôtre at Versailles, to prepare designs for a palace and park. 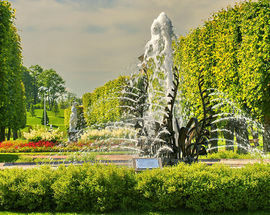 Le Blond envisaged the palace as a Château d'Eau, situated on a round island. 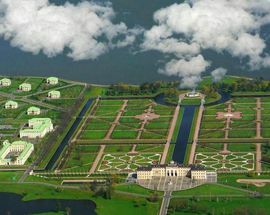 The gardens were laid out to Le Blond's design, but the master's death prevented him from completing a more elaborate project for the palace. 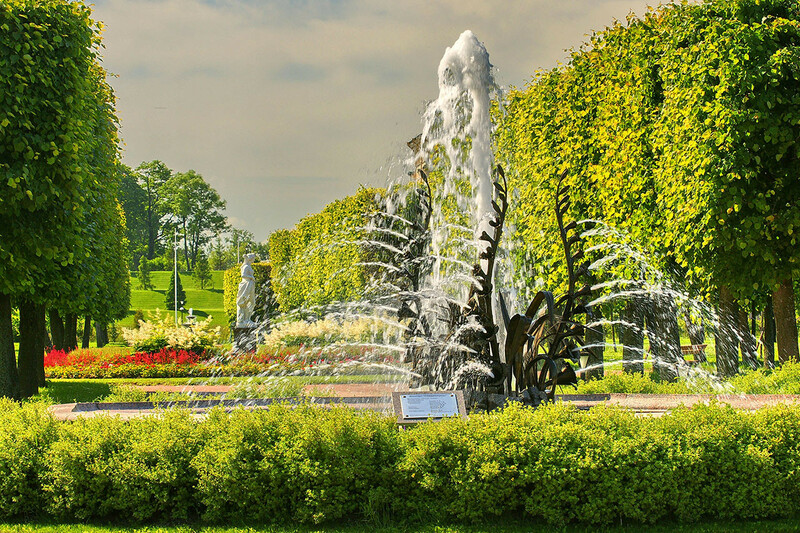 A cornerstone was laid in June 1720, but next year it became apparent that the place was ill-adapted for installation of fountains, thus Peter decided to concentrate his attention on the nearby Peterhof. 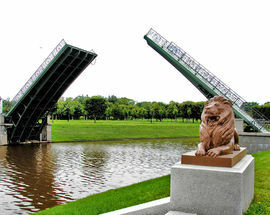 Disappointed, Michetti left Russia, and all works in Strelna were suspended. On ascending the throne in 1741, Peter's daughter Elizabeth was determined to complete her father's project. Her favorite architect, Bartolomeo Rastrelli, was asked to expand and aggrandize Michetti's design. 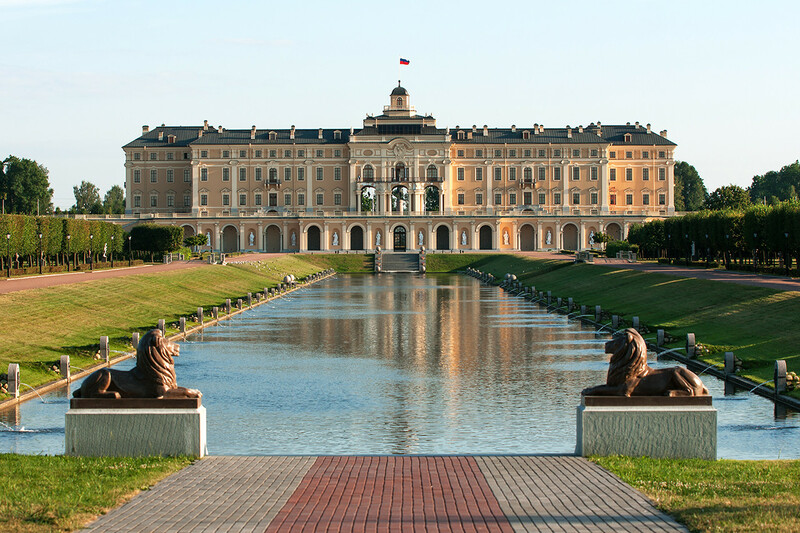 But Rastrelli's attention was soon diverted to other palaces, in Peterhof and Tsarskoye Selo, so the Strelna palace stood unfinished until the end of the century. In 1797, Strelna was granted to Grand Duke Konstantin Pavlovich (second son of Paul I) and his wife Grand Duchess Anna Feodorovna (aunt of Queen Victoria). 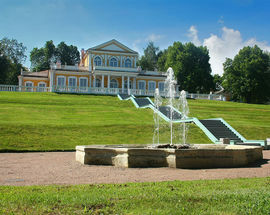 Despite a great fire in 1803, the Konstantin Palace was completed by 1807. 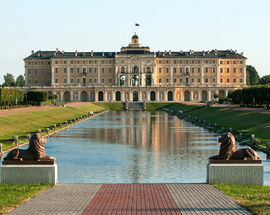 After 1917 the palace fell into decay: it was handed over to a child labor commune, then to a secondary school. 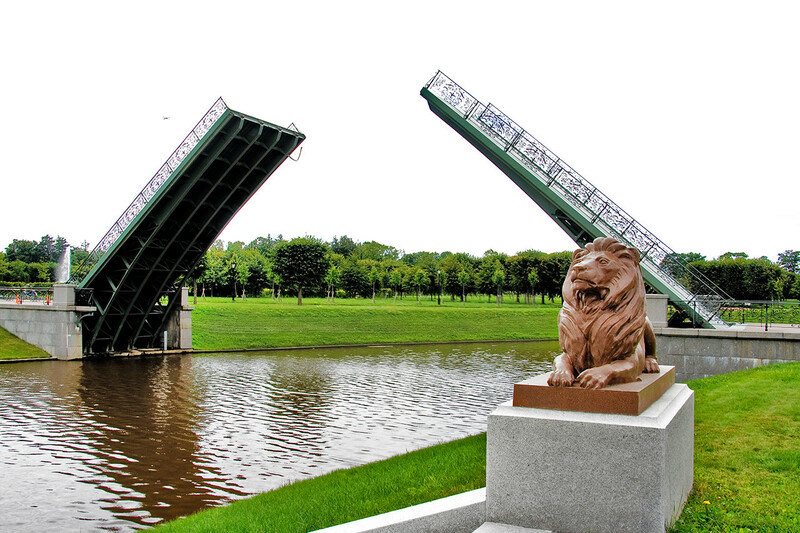 For a period during World War II, the Germans occupied Strelna and had a naval base there. 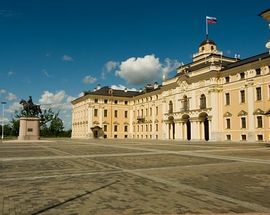 It took almost six decades following the end of the war for renovation works to start; in 2001 Vladimir Putin ordered the palace to be converted into a presidential residence for St. Petersburg. 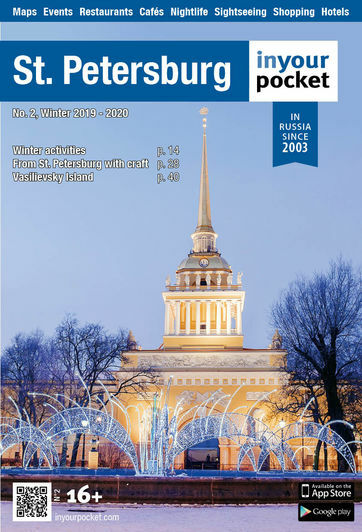 Today, there is a pronounced feeling of abandonment which has settled over the entire town making it a reprieve from the tourist crowds which choke Peterhof’s fountains and crowd onto Pushkin’s lawns. 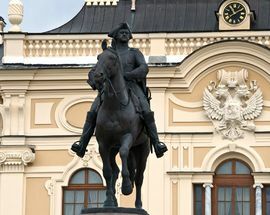 The main attraction is the Presidential residence on the Gulf coast and an Imperial history going back to the first days of St. Petersburg’s settlement. 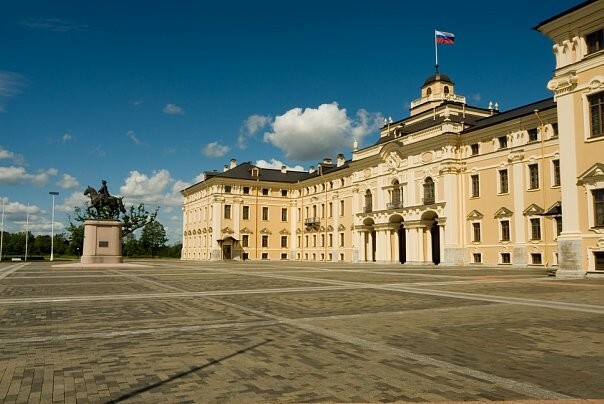 Konstaninovsky Palace, or as some call it “Putin’s Palace”, is a place where the Imperial age merges with Russia’s contemporary era.